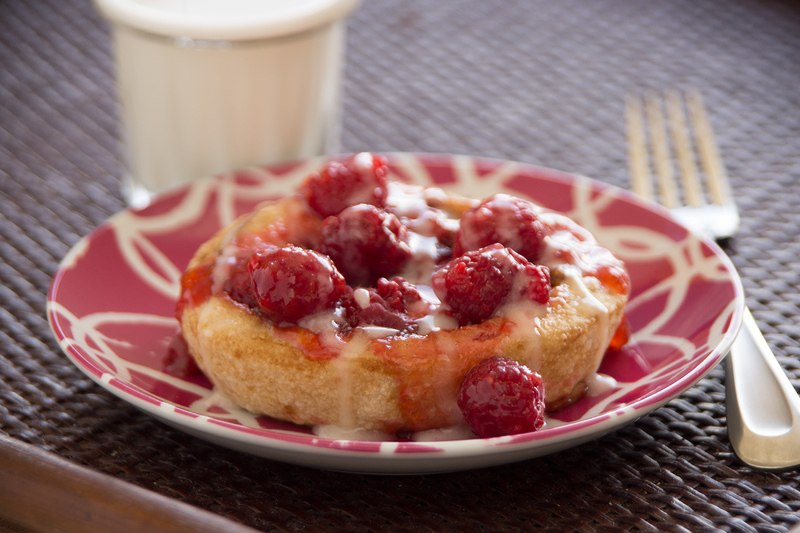 The delicious flavors of raspberries and peaches combine to make this a very tasty sweet roll. Microwave cinnamon roll for 20 seconds. Press an indent into the middle of the roll with a spoon. Fill the indent with the peach jam and the raspberries. Return to microwave and cook for 60 seconds. Drizzle with icing.